FRIDAY, Oct. 21, 2016 (HealthDay News) -- More than a third of young athletes who suffer a concussion return to competition the same day, a new study shows. Concussion guidelines and laws in all states discourage youth athletes from returning to play if they have any signs of concussion after a head injury. But, the findings from this study suggest those rules are often ignored. Researchers looked at 185 young athletes treated for concussion at a Texas pediatric sports clinic in 2014. They were between the ages of 7 and 18. Forty-seven percent suffered a concussion while playing football and 16 percent while playing soccer, the researchers said. The study found that 71 (38 percent) of the athletes returned to play on the same day they got a concussion. 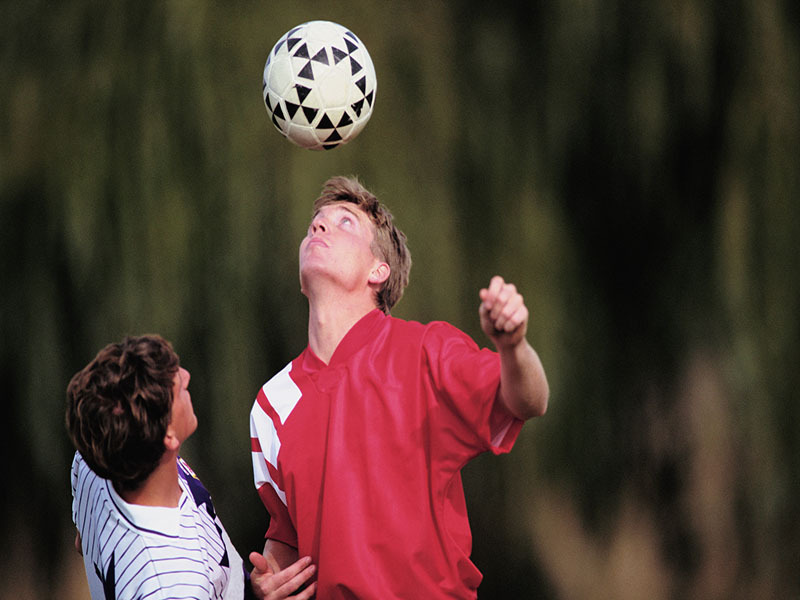 Those who immediately returned to play after their concussion reported less severe symptoms of dizziness and balance problems immediately after being hurt. However, by the time they were seen in the clinic these patients were more likely to report the presence and increased severity of nausea, dizziness, balance problems, sensitivity to light and noise, feeling "slowed down," pressure in the head, confusion, concentration problems and difficulty falling asleep. The study is to be presented Friday at the American Academy of Pediatrics' (AAP) annual meeting, in San Francisco. Studies presented at meetings tend to be viewed as preliminary until they've been published in a peer-reviewed journal. "Our findings suggest that we still have work to do to change behaviors to protect short- and long-term brain health of youth athletes," study author Meagan Sabatino, a senior clinical research coordinator at Texas Scottish Rite Hospital for Children in Plano, said in an AAP news release. "We need to emphasize the message: 'When in doubt, sit them out -- and keep them out -- until full recovery,' " said study author Dr. Shane Miller, a pediatric sports medicine specialist at the hospital.